On this home page we'll introduce our Church and highlight important areas on our site. 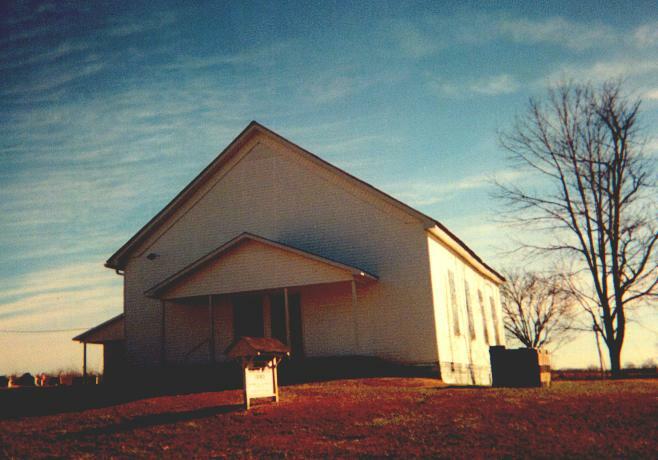 The members of the New Bildad Primitive Baptist Church welcome you! We open our hearts to you, and pray that you will be blessed by being with us as we attempt to worship. our sincere desire is that God will be praised and that all is done here is to his honor and Glory. Let us continue to pray as we meet to worship our Heavenly Father, to rejoice in the blessings of our God and to learn more of Him through the Holy Spirit. May we have ears to hear and may our hearts be strengthened. We believe in a mighty God. Our God is eternal without beginning or end. His is Almighty and none can stand in his way. He has all knowlege and wisdom; thus never confused or bewildered. He is perfect in all his ways. Our God is love. Our God is the God of salvation and providence. The true and living God created his world and even now rules his creation. This God has eternal plans and purposes and brings His will to pass. We proclaim a magnified and exalted view of God. Many describe God as less than able a weak God who tries and fails. Our God accomplishes His will and Fufils his plans. This the God of the Bible is the center of our worship. We strive to praise and to glorify Him and Him alone. Elder Ricky Arnold is the pastor here at New Bildad. You may contact him by phone at 615-597-7094 or mail at 328 R Arnold Road Smithville TN 37166 or E-Mail jarnoldpb@gmail.com. Here is our church building.